4 Bedroom Detached House For Sale in Stockport for Asking Price £385,000. A stunning four bedroom executive detached home. 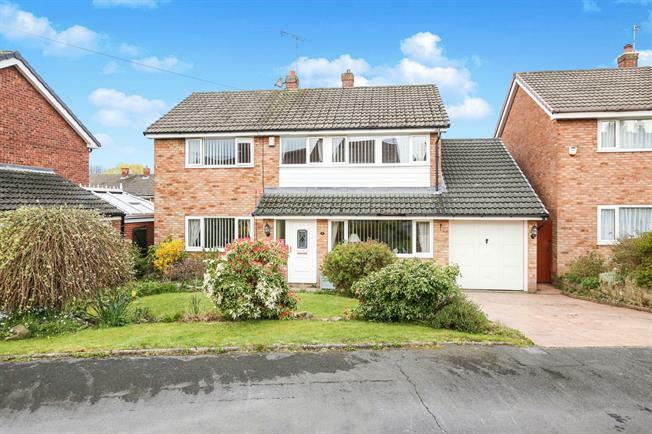 This spacious detached home is in immaculate condition throughout and is a credit to the current house proud owner. The home is located in the highly sought after area of Hazel Grove and is within walking distance of outstanding local schools and excellent transport links. This home offers bright open and airy rooms and benefits from having a downstairs w/c. The home has an integral garage plus off road parking for several vehicles. To the rear is a spacious easy to maintain lawned garden with patio area a superb space to be able to entertain both family and friends. Upstairs there are four double bedrooms plus bathroom. There is potential to extend over the garage to create a fifth bedroom with en suite bathroom. A superb four double bedroom home in a prime location with off road parking.